Facial rejuvenation acupuncture is becoming an increasingly popular, non-surgical method to reducing fine lines and wrinkles. 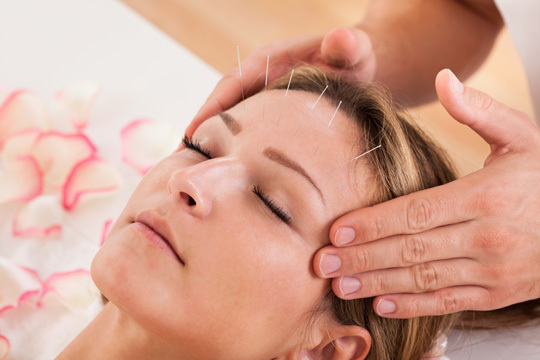 Extremely fine needles are inserted into acupuncture points on the face to stimulate blood flow and increase lymphatic drainage, which can help decrease inflammation and puffiness in the area. We apply organic toners and serums throughout the treatment to nourish and brighten your skin. Our Mei Zen skincare products are derived from Chinese medicinal herbs and botanical extracts that are free from any parabens or phthalates. This 60 minute facial can be beneficial as a single treatment, or done in rotation with other skin care treatments such as chemical peels and microdermabrasion.